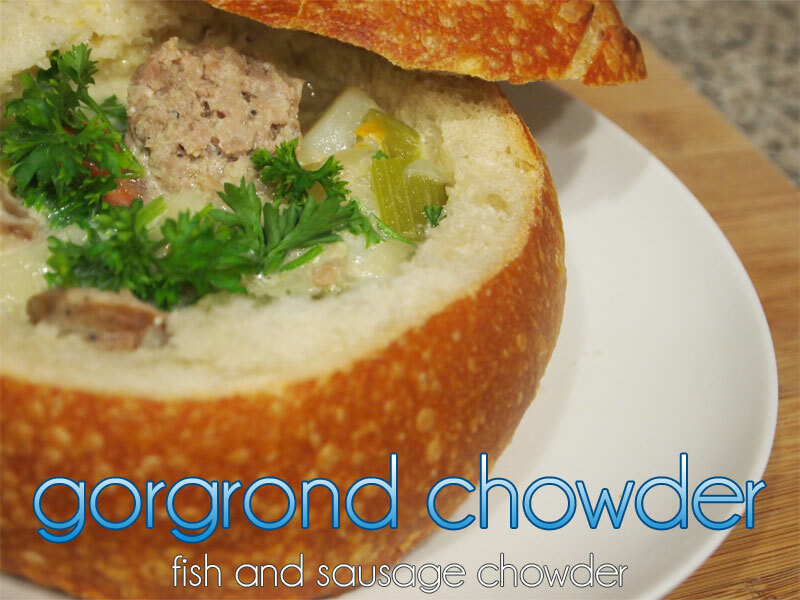 I’ve been wanting to make Gorgrond Chowder for a while… So I finally had a chance to sit down and hammer out the recipe. I wanted to do it right, so was a lot of research involved. 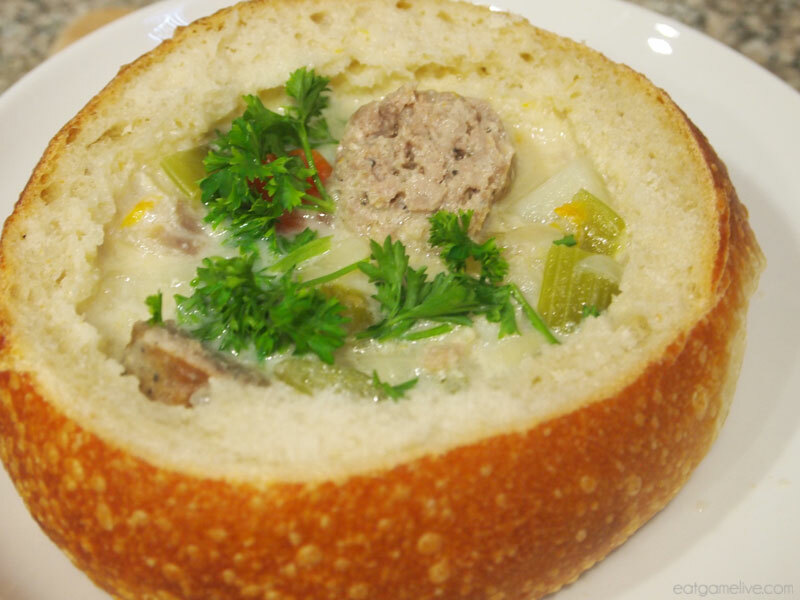 There’s something very special about enjoying a creamy seafood soup in a toasty sour dough bread bowl on a chilly day. 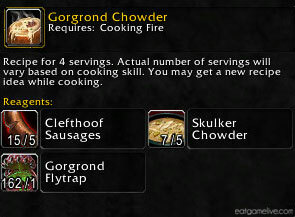 It’s a hearty soup, and it has to be since Gorgrond is a pretty rough neighborhood. GUYS…GUYS WE CAN TALK THIS OUT. 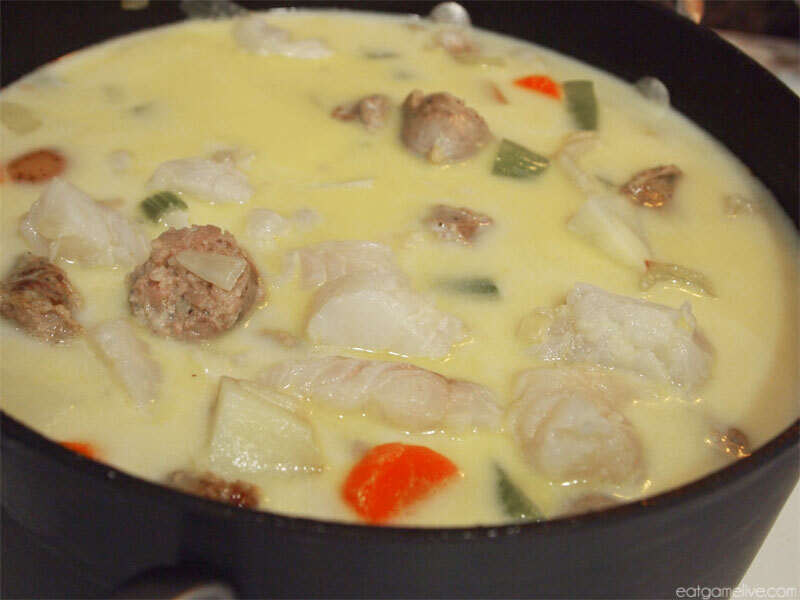 MAYBE OVER A BOWL OF CHOWDER? 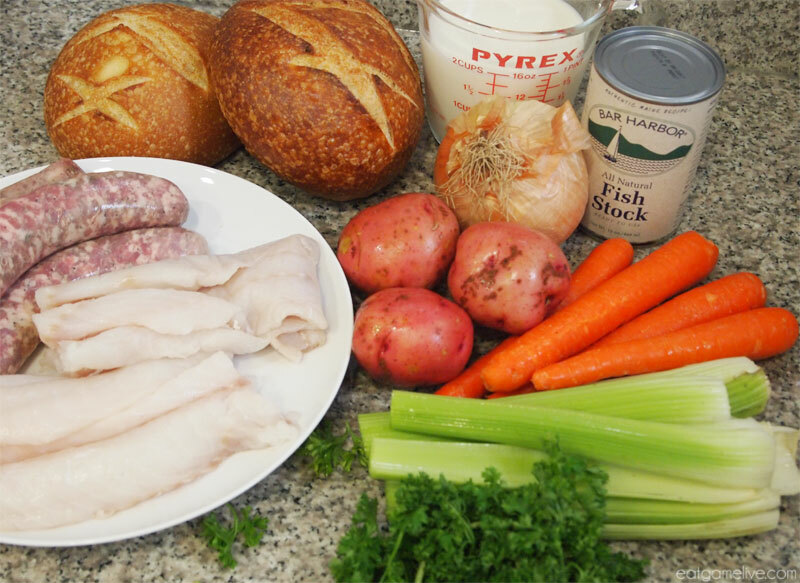 You could probably make this meal while doing runs of Blackrock! Just don’t die and upset just don’t upset your raid lead. Total prep time for this dish is about 20 minutes. Total cook time is about 35 minutes. This makes about 6 servings. Set a large pot on high heat. Add your tablespoon of olive oil. Cook your Italian sausage until golden brown (roughly 5 – 7 minutes). Add in your chopped onions, celery, and carrots. This blend of ingredients is called a mirepoix. 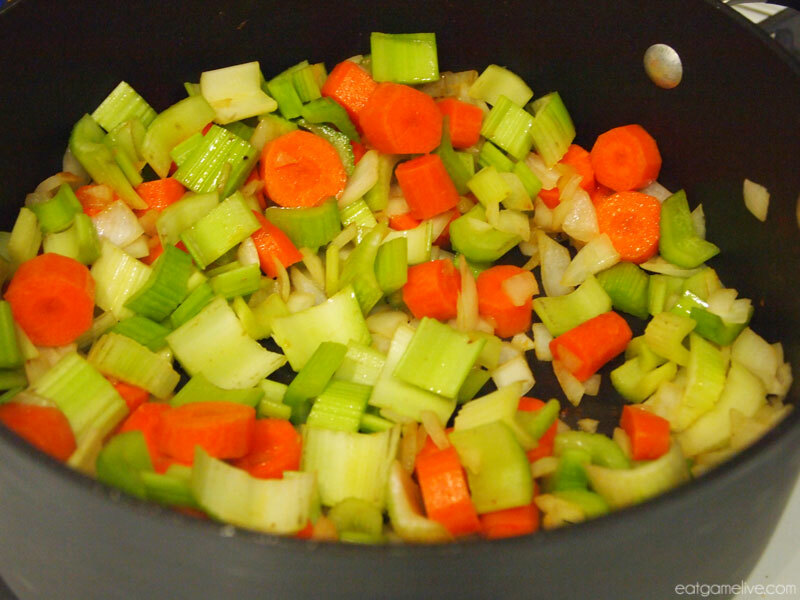 Reduce the heat to medium and allow the mirepoix to sweat. Stir it occasionally to prevent it from burning. 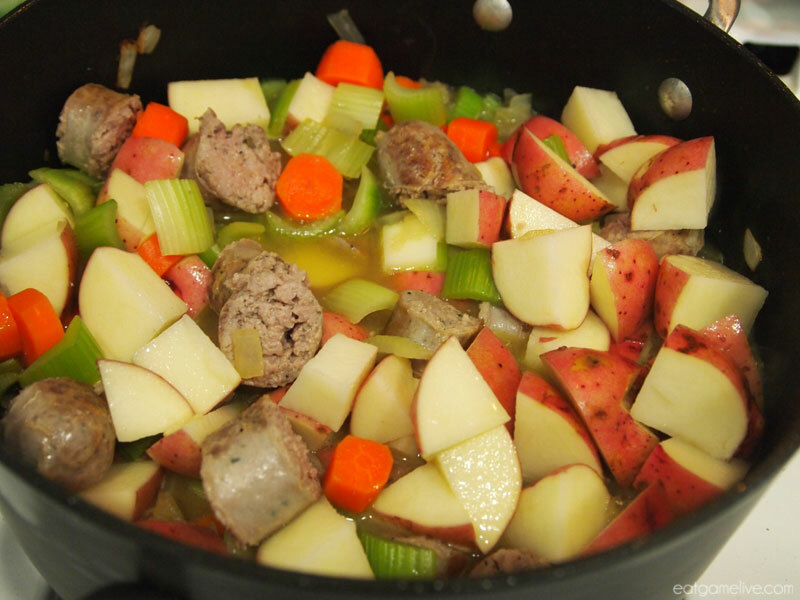 Slice the Italian sausage and re-introduce it into the pot. Make sure you pour in any juices left over from the sausage. Bring the heat back up to high. Add in your fish stock, water and potatoes. Allow to cook for about 10 minutes or until the potatoes are soft. Add in your chopped cod. Reduce the heat to medium and pour in your milk. Allow the cod to cook for another 10 minutes, stirring often. OPTIONAL: to make a bread bowl, cut off the top of the round of bread and scoop the insides out. 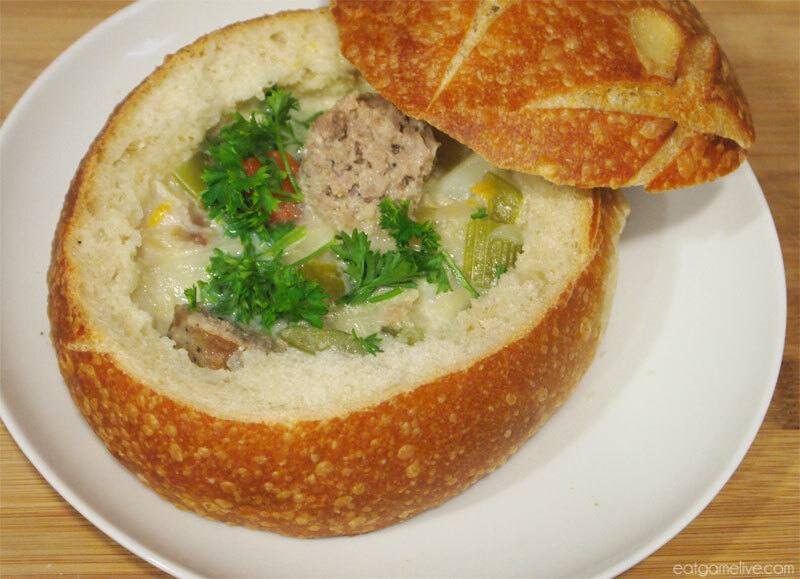 Now, the bread bowl is totally optional. 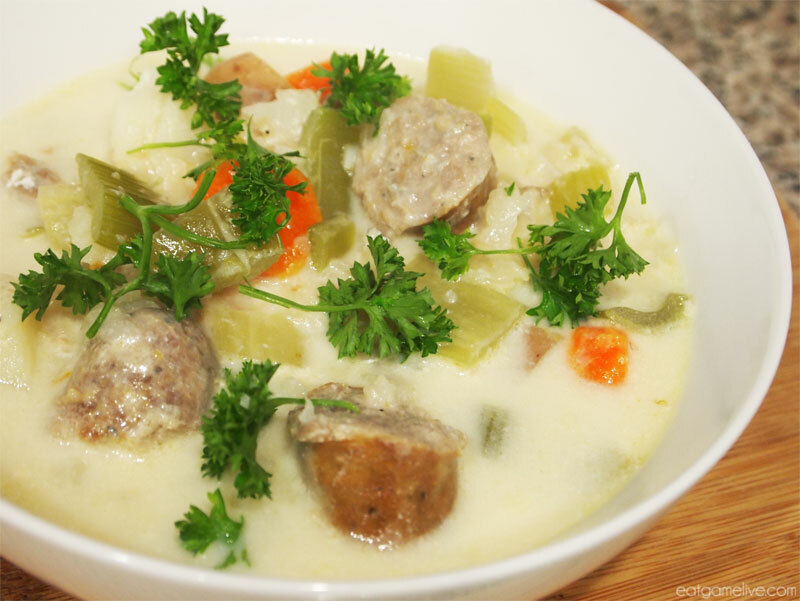 You can serve this chowder in a bowl if you’d like! 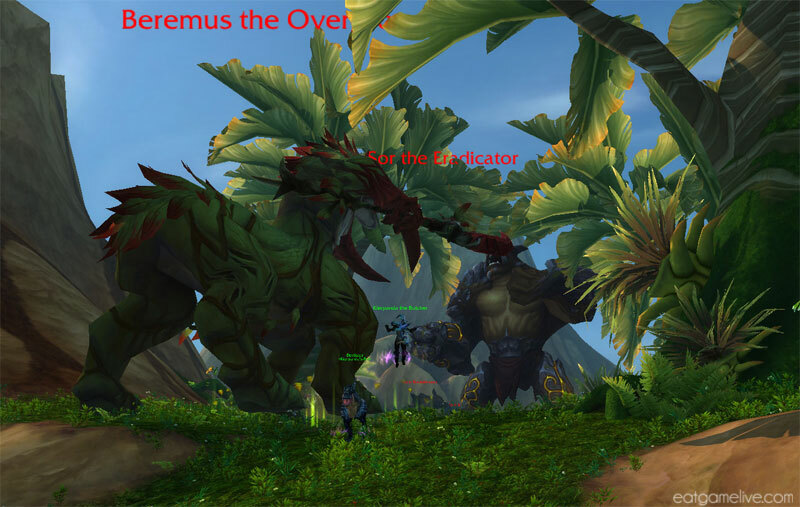 This entry was posted in world of warcraft and tagged blizzard, chowder, gaming, gaming food, gorgrond, mmorpg, pc gaming, seafood, warcraft, warlords of draenor, world of warcraft, WoW by admin. Bookmark the permalink. You’ve got a half pound of sausage on the list twice #6 and #11. Whoops! Thank you for the catch. I’ve updated it.